Doge 2048 for Apple TV is the famous web game by Jason LaFerra, but for Apple TV! 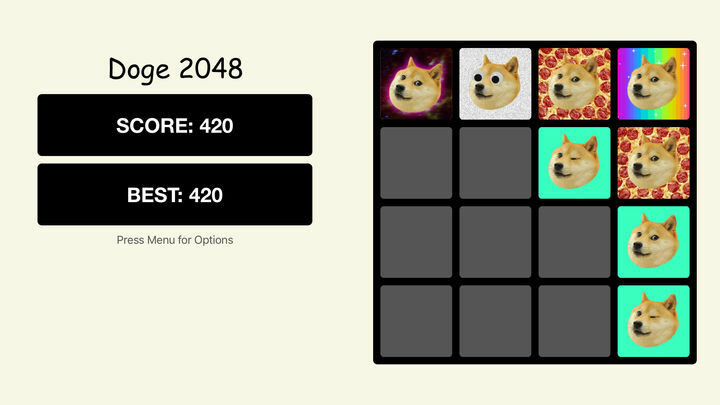 Based of off 2048 – Doge Edition by Joao Pedro Melo and Doge 2048 for Web. Doge-ified by Tiny Mammals. 2048 originally created by Gabriele Cirulli.